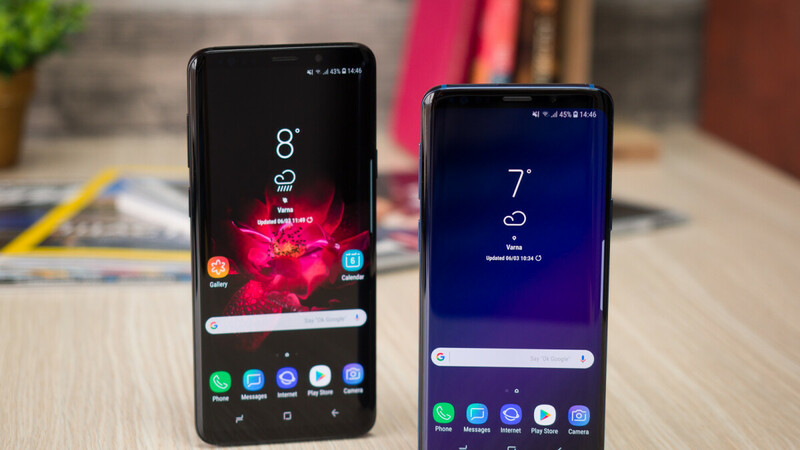 Samsung is starting the month of July with a brand new deal aimed at customers planning to buy a Galaxy S9 or Galaxy Note 8 in the US. Until July 31 (or while supplies last), all Galaxy S9, Galaxy S9+ and Galaxy Note 8 models sold on Samsung's official website and via the Shop Samsung app come with free microSD cards that double the handsets' internal memory. The memory cards offered as gifts are Samsung-branded and will match the storage capacity of the Galaxy S9 or Galaxy Note 8 that you're buying: 64 GB, 128 GB, or 256 GB. Both unlocked and carrier versions of Samsung's high-end smartphones are included in this deal, and you can even get the brand new Sunrise Gold S9 and S9+ that Samsung released at the end of June. Your free memory card should be automatically added to your order at checkout, regardless of the payment method that you're choosing. In case it isn't clear from the lines above, buying a Galaxy S9, S9+, or Note 8 anywhere else than from Samsung's website or the official Shop Samsung apps will not allow you to take advantage of the free memory card deal. More information on this can be found at Samsung via the source link below. Need this to be with the Note 9 as well, but there'll probably be better promos available by then. Samsung definitely has some of the best promotions, I got a free 256gb microSD and fast wireless charger when I got my Note 8, no other company does promotions quite like Samsung. Definitely a great incentive to get people stuck on the fence to go Samsung. /no other company Because no one buy samsung nowadays. sd cards...lol! Are VHS tapes making a comeback as well...? Sd cards are here to stay buddy, why would you not want expandable storage? Forgive iUsers. Their device don't have external sd card so they wont understand what it is. Maybe 10 years later when Apple start to have it then they be like it's the greatest thing Apple ever came up with. iOS only supports exporting stuff to usb, not importing. Most people don't install apps on the SD Cards so performance is not affected. You don't know what you are talking about. I use my SD card to exclusively store media and there isn't any performance difference in this case vs internal storage. You really think microsd cards works only with smartphone? You must feel stupid now? Lol did you "plus" your own comment? Are you stupid? SD cars is an universal standard that ensures compatibility between devices that would otherwise not be possible. You can take picture on your phone and then transfer them to any kind of electrical equipment through the SD-card. Furthermore, you can take images with your actualy DLSR camera, and then take out the SD card to transfer those photos painlessly and directly to a computer or smartphone. It's a beautiful, flexible and simple way to transfer files between all kinds of products. Well I don’t know about yours but my camera has WiFi, I can get all my photos painlessly and effortlessly on my desktop (no SD card slot) and phone (no SD card slot). I’ve also got cloud storage that eliminates the clunkyness of popping out my SIM tray, putting the SD card into an adapter and plugging it in to my desktop. Not convinced by your rationalisation there. Not everyone buys new phones when we need more storage. Cloud storage? Lol. How are those images under 16MP & saving files at "High Quality"? I I wasn’t talking about cloud storage for DSLR photos ya donkey. Cloud storage for documents, phone photos, videos etc and I transfer everything else over WiFi. People who are pro micro SD invent justifications to keep it around. It’s an archaic format. Those parameters are from Google Photos, which 9x outta 10 are used for transferring the latter patt of what you mentioned, ya donkey. SD card are archaic? LoL So what you are trying to say is that Wifi is some kind of newer tech or something? The answer to anything and everything? Why would somebody try to trash talk the ability to have 256gb in your pocket on the go and compatible with a wide range of devices is beyond me. Fanboyism probably does make some people blind. They’re so useful you have no clue what you’re talking about. I stuck my free 256gb microSD card from Samsung in my Nintendo Switch and have so much more room for games now, plus I got a cheap 128gb one for my Note 8. Sit down. That’s true, micro SD is good for Nintendo devices, but only because the internal storage is crap. Sadly my 3DS can only take 32GB max. Nice bonus, sweetens the pot for those sitting on fence about getting a Sammy soon. Still not as good as internal storage. Your statement contradicts itself. Either I’m right or I’m wrong. Micro SD cards are for heathens, the only format still relevant is full sized for cameras. It's not contradict. Not as good as = Not equally good. And he explain that by adding "Because it's better". It is a contradiction. Please stay in school. You either knew I meant that micro SD is better or you're really that much of an imbecile. Adoptable storage is a possibility with alot of recent flagship phones that have microsd support. It may not be as fast "true" internal storage. But, it can lift the photo/video/audio limit some people may face. Just, a real extension of "app to sd".